Most think a cavity can is fixed with standard filling. Because fillings leave the teeth weaker than natural enamel, sometimes a cavity is too big to be repaired. When a filling spans the width of half a tooth or more, you must repair the tooth with a crown instead of a filling. Utilizing a porcelain dental crown will strengthen the tooth and reduce the risk of fracture. A root canal requires cleaning out major tooth decay, leaving the hallowed out, sensitive, and very vulnerable. Due to the inner tooth being exposed, a dental crown is especially important to repair the remaining tooth & prevent cracking. There are numerous elements that put extra wear on our teeth. From teeth grinding to GERD (acid reflux), many of us have habits that contribute to wearing down our teeth faster than usual. The one thing all of these causes has in common is that they weaken and can eventually totally erode a tooth’s enamel. 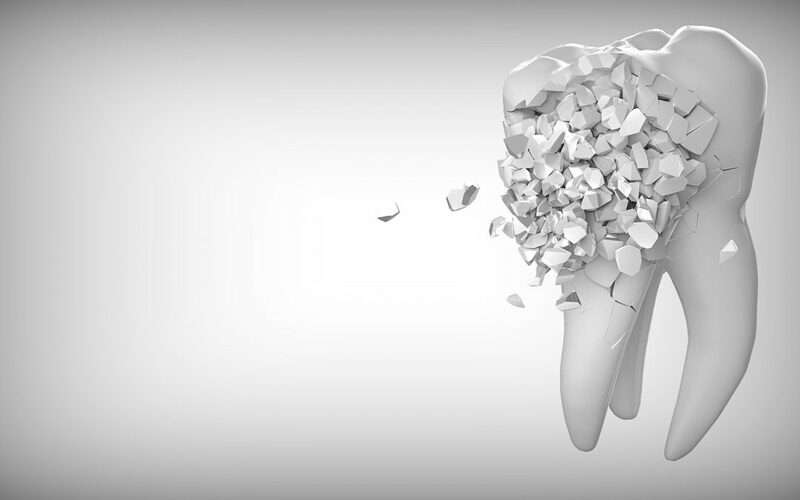 Once that happens, the only way to repair the tooth is to place a porcelain dental crown over the remaining tooth. Most of the reasons you may need a crown are for tooth repair. But sometimes people want a crown to correct the look a tooth or smile. Everyone has dental imperfections including gaps, stains, and malformed teeth. A porcelain dental crown is an excellent way to fill gaps and correct the color or shape of a tooth. Getting a crown can drastically boost your confidence. For some, dental crowns can seem scary. But there is no reason to be afraid. They can not only help save your teeth, they can help improve your smile! If you’re in need of a dental crown. Contact us to schedule an appointment.